The Apprenticeship Levy has opened the door to a new world for professional training in England. With companies having access to increased funding to invest in apprenticeships - and apprenticeships becoming a more popular way to learn across the board - training providers are in an exciting position: if they know how to leverage the opportunities. But it hasn't been that easy for some. Training providers who aren't on the approved apprenticeship register, or who don't offer multiple apprenticeships, are finding it difficult to utilise the full potential of the initiative. We spoke with Rupert Grant, Key Account Manager at Hemsley Fraser Group, to find out exactly how non-SFA registered training providers can successfully navigate this new world. 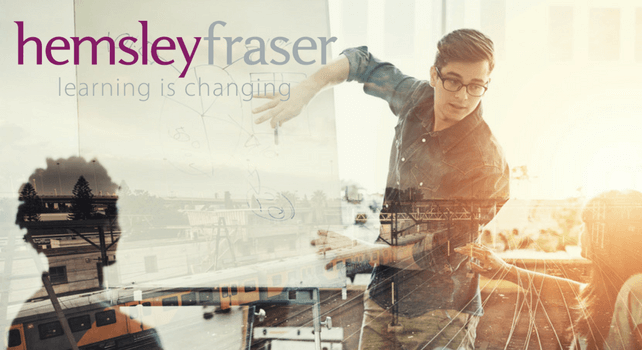 Hemlsey Fraser (HF) is a leading international leadership and management training specialist. The company is not on the SFA's Register of apprenticeship training providers (RoATP), but we partner with The Education and Skills Partnership (ESP) on behalf of our clients to support their levy requirements. Many of our clients see the levy as a great way to fund training – but the requirements in terms of compliance to the terms of this particular funding vehicle can be challenging. A typical scenario is a client wanting to use the levy to fund leadership or management training. I would introduce ESP to the client and all being well, the client would contract with ESP as their levy partner and ESP would then bring in HF as a provider of the training. In terms of the content being delivered, HF would design and deliver a program of training under the guidance of ESP that delivers the skills requirements for the client, while also meeting the minimum specifications of the ‘Standard’ within the Apprenticeship guidelines. In short, ESP are our trusted advisors but they are also a necessary ‘agent’ between the Government / Funding Agency and us. ESP is registered with the Skills Funding Agency and we are not. ESP are also an umbrella agency for a great many other providers like ourselves, and are able to engage with organisations with levy requirements and provide a wide range of suppliers that can be contracted through them. Why did you choose not to apply to be on RoATP? Hemsley does a lot of things very well but where we lack a core competency we partner with a best of breed organisation that can provide specialist knowledge and services to augment our capabilities. We have not offered apprenticeship training in the past and once the new levy funding proposition was announced we sought out ESP to partner with. Which apprenticeships are the most popular? Our experience thus far has been that our clients are most interested in leadership and management apprenticeships as we are a leadership and management training specialist. Therefore, the levy funding vehicle allows our clients to fund the training undertaken with us. However, the Apprenticeship Standards for Leadership and Management stipulate the modules and the manner in which the training is to be delivered – which does mean that our clients have to align their training programs to the Apprenticeship model. The focus on management and leadership training is in line with the typical training budget expenditure on ‘leadership’ that we see in many blue chip companies across all industries. Effective leadership continues to be perceived as the proportionately greatest driver towards increased productivity. What impact is the levy having on the training industry? The funding vehicle is certainly welcomed by most organisations we work with but it does require a degree of organisational maturity in terms of coherent career development pathways for employees for the Apprenticeship programming to align. Industries that rely on technical skills to generate business value benefit most - so any organisation that would ordinarily run an apprenticeship program most obviously will benefit. What we see is a number of organisations specialising in the management of the levy – providing services to client businesses that make sense of the levy funding vehicle – and then working with the client business to bring training suppliers on board under their management oversight (as it relates to the levy funding and compliance). In other words, those organisations act as managed services providers – managing the relationship with the funding authorities, managing the suppliers of training that will deliver training under the apprenticeship program (sometimes existing providers to the client business) and so on. These SFA registered companies essentially contract with the existing providers to the business in order for the business to retain such services under the terms of the levy contracting model. What do you think are the biggest challenges that companies are facing with regards to the levy? The biggest challenge regarding the levy for most companies eligible for the funding is the degree of compliance in how training is delivered and monitored under the levy. 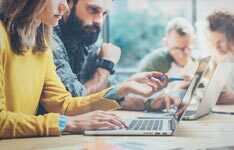 The hidden costs of training are always the time out of workflow for those being trained and this is especially the case with the higher levels of the Standard for Leadership and Management. So while the programs required to meet the Standards are elaborate and very comprehensive (and therefore likely to be effective from a training perspective), the amount of time the probably busy candidates have to invest in the program is considerable. How can training companies that aren't on the register leverage the levy opportunities? 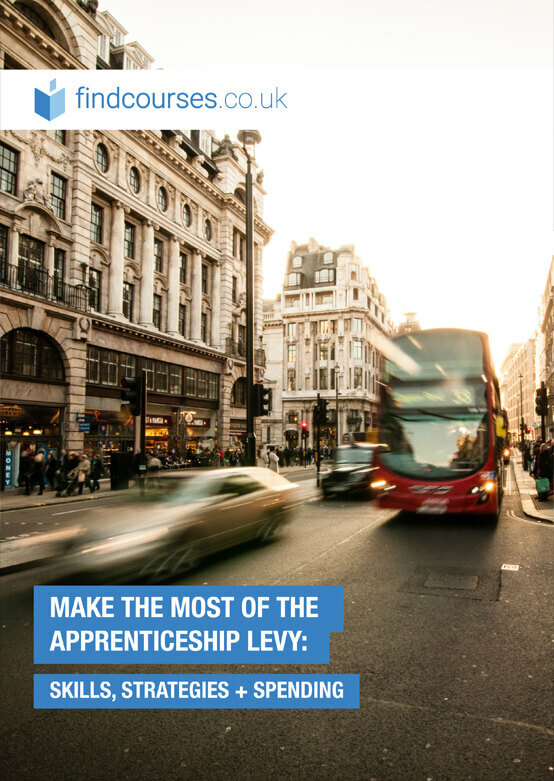 The way that training companies like ourselves who are not SFA registered can leverage the opportunities of the levy is simply to bring an Apprenticeship specialist like ESP into their client relationships, so that they can work in partnership with them even as they continue to own the client relationship overall. ESP often source and contract with other training providers, as well as ourselves, in order to meet the apprenticeship requirements of our clients. In other words, our client contracts with ESP for the levy funding management and we, along with other suppliers of training, contract with ESP to supply those services under the levy to the client. However, as we brought ESP in to our client relationship, ESP defers to us on all matters related to the programs in which we are engaged with our client. Do you have any advice for companies looking to spend the levy in the most effective way? The most important point about the levy funding vehicle is that while the money is available to you, it’s not as simple as just spending it on the training you want. The degree of compliance in meeting the terms of delivery and the fulfillment of the Standard for any level is extensive and not to be taken lightly. So planning and more planning is essential. Given that the allocations of funding are already out there and the money is sitting unused in many businesses accounts, it makes sense to scope the opportunities without delay. Businesses get 24 months to spend their levy contributions, so If they paid money in May 2017 – this must be spent by April 2019 – or they will lose it. Obviously the longer they build up this ‘pot’ without utilising it, the larger the danger of under-utilisation and loss. The services of a specialist are essential and from our point of view, a very modest cost against the opportunities the levy offers us through supporting our clients plans – which might not have otherwise been possible but for the levy. What do you see for the future of apprenticeships? Given the national shortfall in skilled workers in critical apprenticeship disciplines we believe that the future of apprenticeships is bright. We hope to continue to develop our expertise in partnership with ESP and explore the different ways we can deploy apprenticeship programming in the future. Are you a registered apprenticeship training provider? Get listed!